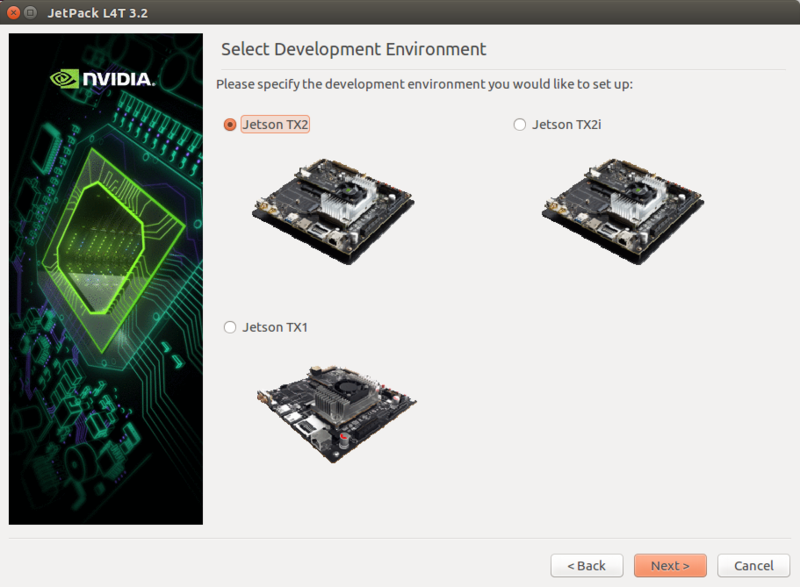 This page explains how to connect and configure an NVidia TX2 using AuVidea.eu’s J120 carrier board so that it is able to communicate with a Pixhawk flight controller using the MAVLink protocol over a serial connection. Connect the Pixhawk’s TELEM2 port to the J120’s UART2 port’s Ground, TX and RX pins as shown in the image above. 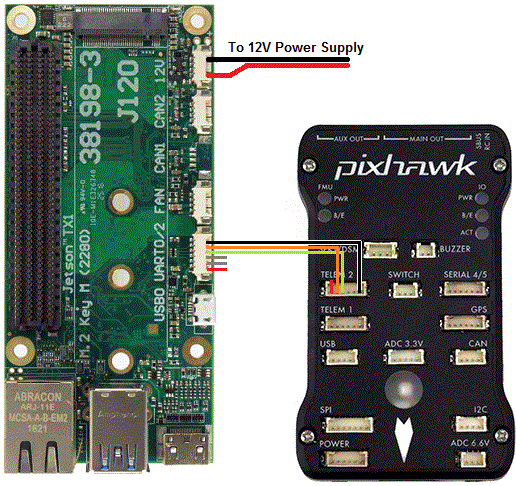 The Pixhawk and TX2 should be powered separately (the J120/TX2 through it’s 12V power input port, the Pixhawk through it’s POWER port). SERIAL2_PROTOCOL = 1 (the default) to enable MAVLink on the serial port. SERIAL2_BAUD = 1500 so the Pixhawk can communicate with the TX2 at 1,500,000 baud. As a side note the J120’s UART2 appears on the TX2 as /dev/ttyTHS1. 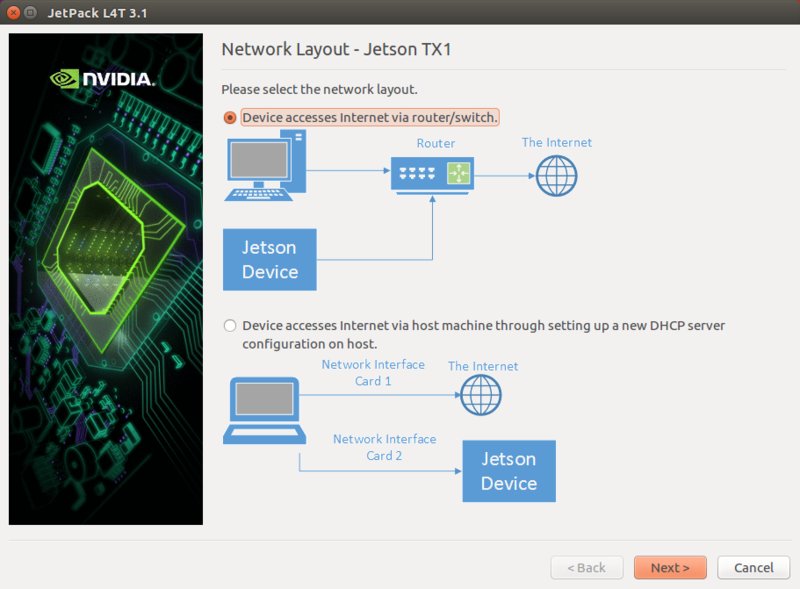 connect an Ubuntu 16.04 machine to the internet and download JetPack-3.3 (nvidia login required) from the Jetson Download Center. 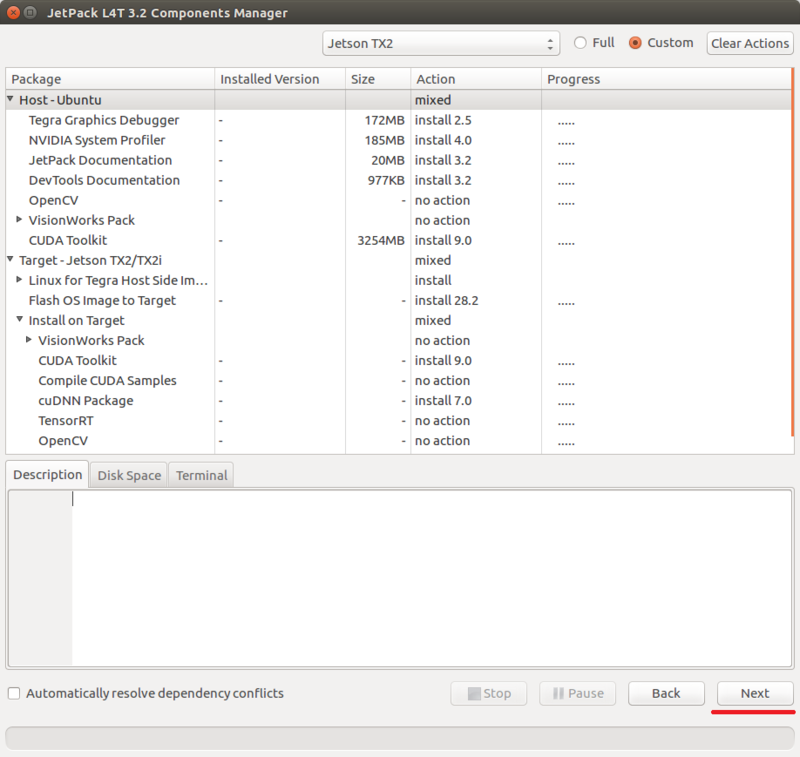 installation should continue for about 15min and finally a message should appear asking you to close the black console window. On the Ubuntu 16 machine, download the latest APSync image for the TX2 from firmware.ardupilot.org (look for images that contain “tx2” like “apsync-tx2-201804270923.img.xy”). Some instructions on flashing images can be found here. If you are using the StereoLabs ZED camera then the TX2 will need to be powered up once with the ethernet cable plugged in so that it has access to the internet in order to download the camera’s factory calibration. If using the AUVidea J120 board, the ZED camera or RPLidarA2 may need to be plugged into the lower USB port to work correctly.